The Nokia 105 is a basic nokia phone that I love so much. This phone is considered one of the best among other phones in the same category. This is because the Nokia 105 has a good number of plus that is helping it gain so many attention in Nigeria. I happen to lay my hands on this phone for a couple of days now, here’s my experience so far. The Nokia 105 has a simple, smart and unique design that would turn you on. In front is an anti-scratch glass acting as a guide to the display while at the back is a Tim-coated cover with curved edges. The Nokia 105 is very easy to grab, it looks very simple and can fit in nicely inside your pocket. 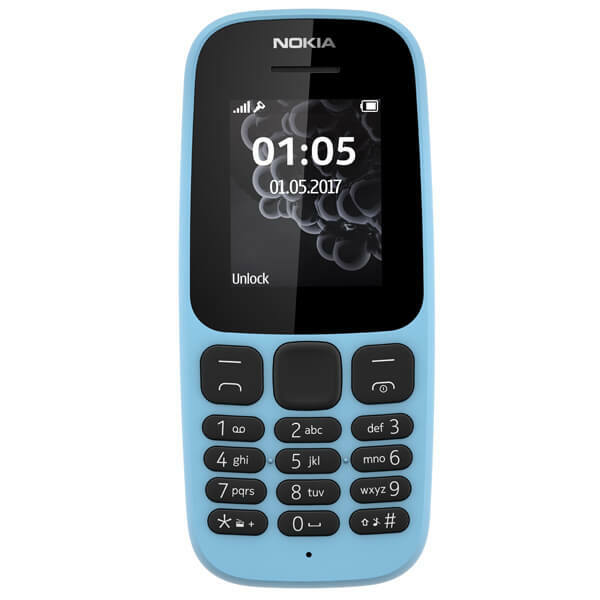 In Nigeria, the Nokia 105 is available in white, black and blue colors but I like it on blue because that’s where the beauty lies. HMD global really did a nice job with the placement of the charging port, led flash and headphone jack of the Nokia 105, they are all positioned at the top of the phone. 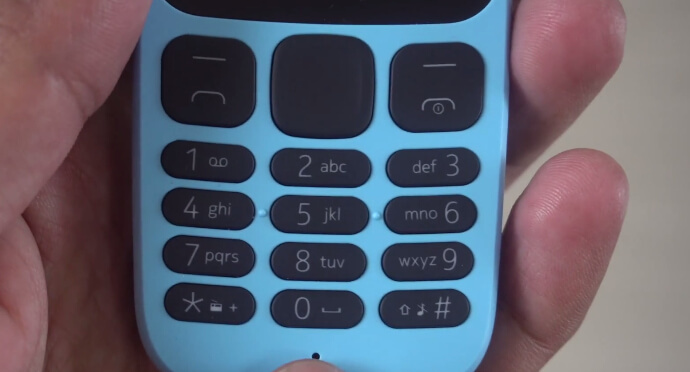 The keypads are also well positioned and clicky. The Nokia 105 has a 1.8inch colored display that shines really bright both in and outdoor. On the display, you will see a menu navigator that would lead you to the call log, contacts, clock, radio, messages, flashlight, calculator, calendar, settings and six exciting games. 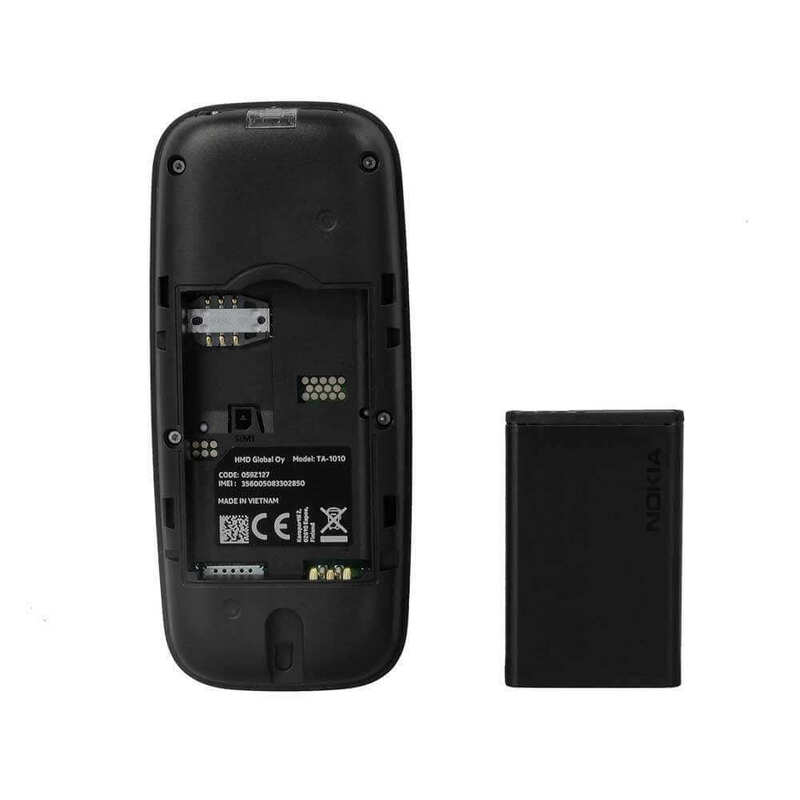 Under the hood is a BL-5CB 800mAh battery that is ready on the go. The Nokia 105 has a long-lasting battery that can serve you conveniently for 4days and even more depending on your mode of usage. My experience confirms that to be true. HMD global estimated that the Nokia 105 can render a talk time of up to 15.7 hours and a standby time of about 30.6 days. The Nokia 105 also charges really fast. The Nokia 105 really performed excellently, especially when I used it to make few calls in Nigeria. 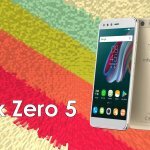 This phone produced clear audio sounds that was astonishing, I didn’t stress myself to talk repeatedly or use loudspeakers during my conversations. The radio is awesome too, my experience with the FM radio on the Nokia 105 wasn’t disappointing, it rendered both auto and manual search and produced audio sound that were appealing even with loudspeaker. I wanted to find out if the Nokia 105 would be able to tap the smallest signal around. To my greatest surprise the Nokia 105 is performed excellent. 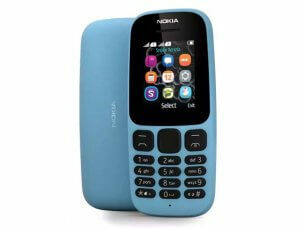 The Nokia 105 is very affordable, it cost about N4,000 in Nigeria. It is also available in online and offline store nationwide. 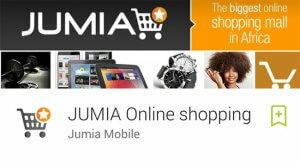 See lowest price on jumia. Having used the Nokia 105 in Nigeria for a good number of days now, I would like to express my final thoughts with you about this phone. The Nokia 105 is no doubt a good phone, after trying it for 4days in Nigeria, I can boldly attest to the fact that this phone is the ideal choice for you. So if you are out there looking for a smart, simple, reliable and affordable basic phone in Nigeria, the Nokia 105 might be just what you need.